We are now accepting entries for the 2016 Pacific Northwest Section Junior PGA Championship Qualifier at The Home Course on June 4-5, 2016. Please let the junior golfers at your club know about our upcoming tournament in the coming months. It’s a wonderful opportunity for your junior golfers to become involved in competitive golf. The winning Boy and Girl Champion from each of the 41 PGA Sections will participate in the Junior PGA Championship held August 9-12, 2016 (Practice Rounds August 7-8) at Wannamoisett Country Club in Rumford, Rhode Island. Section Champions are identified based on the lowest gross score in the 16-18 age division. The course is cooperatively owned and operated by the Pacific Northwest Golf Association and the Washington State Golf Association. The Home Course will eventually house the offices of the WSGA, PNGA, and USGA activities in the Northwest, as well as other allied golf associations in “Northwest Golf House.” It will be a home for junior golf programs, environmental stewardship and turfgrass research. 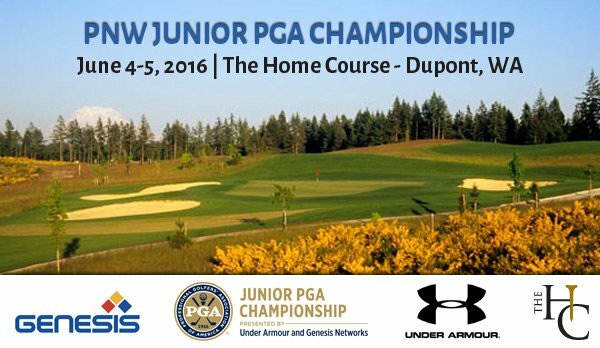 CLICK HERE for the 2016 Pacific Northwest Section Junior PGA Championship Qualifier entry.